Join us in our journey back to the days when all that mattered was a games' mechanics. Discover the unknown world of bits and bytes in your computer. The bizarre landscapes inside it need oxygen delivered by the mysterious Oxyd stones. For some reasons all the Oxyd stones have been sealed and need to be reopened to save the world and bring back the oxygen. But be careful destructive challenges are in your way. Oxyd stones come in pairs with the same symbols and they only stay open when two with the same symbol are touched one after another. The landscapes will become bigger and bigger and you'll find new elements, each providing new challenges and making your mission more and more complex. When hostile elements and gravity kick in it is time to think about your strategy. Find hidden switches, redirect photon beams with mirrors or fire chain reactions of dynamite and bombs to solve the puzzles. 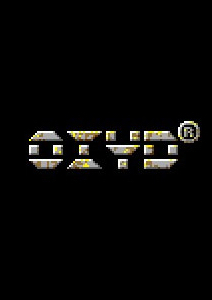 First developed in 1989, Oxyd® has been through several iterations and enhancements; Oxyd®2, Per.Oxyd®, Oxyd®extra, Oxyd®Magnum! Over time a vast collection of level data, puzzles and game elements have been created. Today there are about 300 single player "landscapes“ and 500 game elements that represent hundreds of unique puzzles. In addition we've collected over 200 two player games.